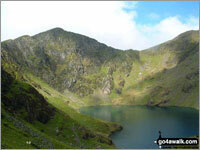 If you count only the Mountains (Hewitts) there are 137 tops to climb, bag & conquer and the highest point is Snowdon (Yr Wyddfa). 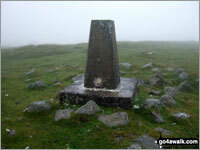 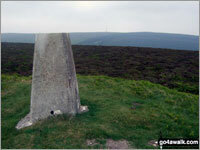 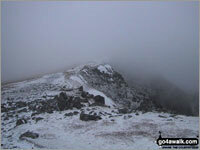 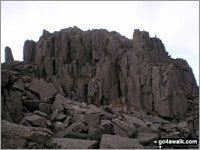 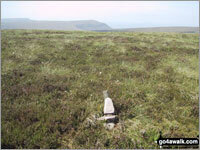 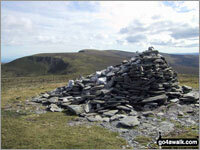 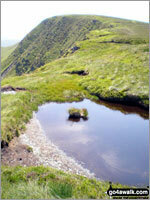 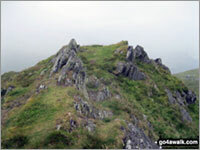 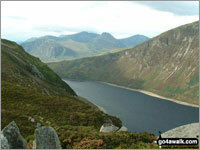 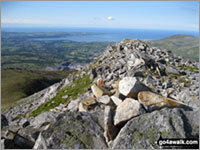 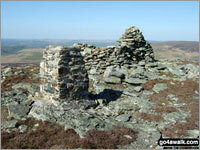 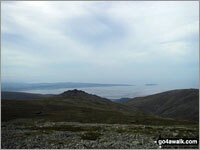 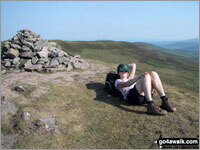 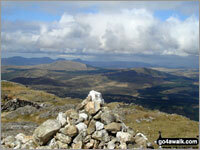 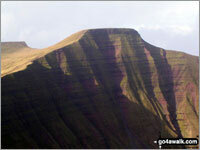 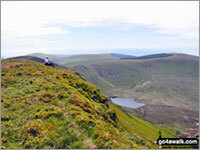 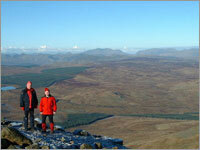 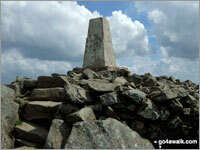 A go4awalk.com Peak Bagging Map and Hill Tick List featuring Bache Hill will be available soon. 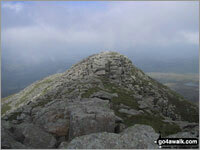 A go4awalk.com Peak Bagging Map and Hill Tick List featuring Black Mixen will be available soon. 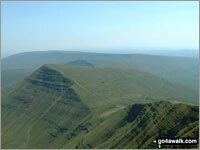 Black Mountain straddles the border between England and Wales. 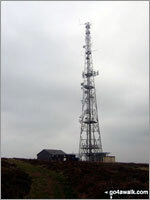 Although the actual summit of Black Mountain is in the welsh county of Powys by a couple of metres, the upper NW slope of Black Mountain is the highest point in the english county of Herefordshire. 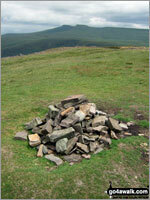 Cadair Berwyn is the highest point in the county of Denbighshire. 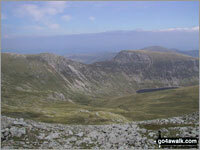 Carnedd Gwenllian was formerly known as Carnedd Uchaf (in 2009) and as Garnedd Uchaf prior to that. 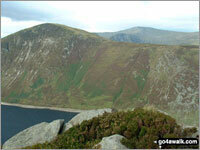 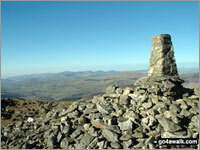 Carnedd Llewelyn is the highest point in the county of Conwy. 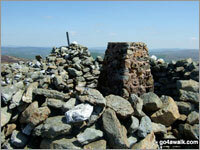 Chwarel y Fan is the highest point in the county of Monmouthshire. 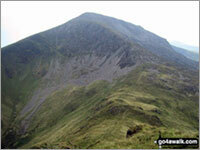 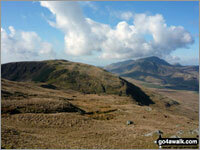 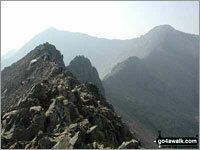 Cnicht is often referred to as the Welsh Matterhorn. 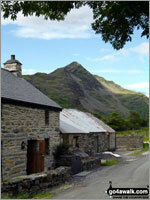 When viewed from the village of Croesor and the south-west, Cnicht appears to be a perfect pyramid shaped mountain that resembles the Matterhorn on the border between Italy and Switzerland.